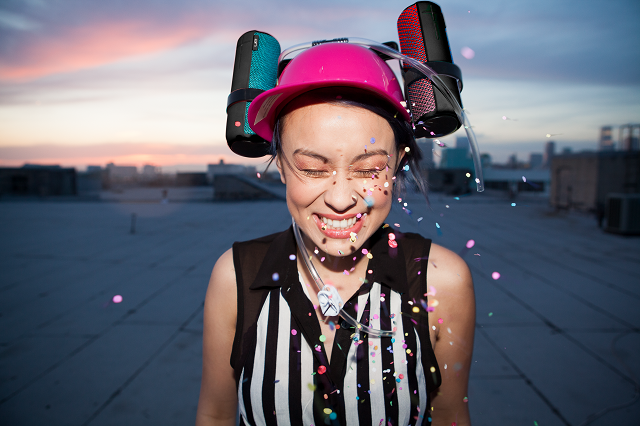 When you need a Bluetooth speaker, there is no shortage of options. With that said, many of those options sound terrible. Quite often, these wireless speakers are designed more for portability and convenience -- sound quality be damned. I've heard many a Bluetooth speaker with such muddy sound that it was preferable to just use a phone's integrated speaker. Luckily, not all Bluetooth speakers are bad. In fact, some are damn good. One such brand that always delivers in this regard is Ultimate Ears. Regardless of price point, you can count on its products for an excellent music-listening experience. Two of the company's top Bluetooth speakers -- the BOOM 2 and MEGABOOM are getting limited-edition makeovers. There are eight new styles from which to choose, and Ultimate Ears calls this collection "Second Street." Best of all, pricing remains the same -- there is no limited-edition premium. "Today, Ultimate Ears launched 'Bring Music To Life,' a new global brand campaign that celebrates the transformative power of music. In collaboration with internationally renowned graffiti duo Bicicleta Sem Freio, the campaign brings together music and art to showcase the technology that Ultimate Ears fans love about their award-winning, wireless Bluetooth speakers: 360-degree immersive sound, seriously waterproof and virtually indestructible," says Ultimate Ears. Charlotte Johs, General Manager explains, "Music has the power to enhance, energize and connect people, and you feel this whenever you turn the speaker on. The belief that you can spontaneously transform any moment with music - anytime, anywhere -- is at the heart of every experience from Ultimate Ears. We don't just make speakers, we bring music to life." You can see the designs above. While all of the styles are available on the BOOM 2 ($199), things are a bit more limited for the larger MEGABOOM ($299) -- Marina and After Hours are not an option for it, sadly. Availability will vary by country too, with only three of them coming to the USA for now -- Cityscape, Marina, and After Hours. They can be purchased from UltimateEars.com directly, although Cityscape will also be sold at Best Buy.